This is an interesting map for a number of reasons, not least the depiction of the three-sided gallows north of the road side on Gallows Hill. Looking at the shading it is clear that the gallows were atop a small hill and then there is an even steeper slope facing the town. The gallows would therefore have been set against the sky line for those below the slope. They would have also been a fearful sight for the condemned being taken from the gaol in Eden Street and up Kingston Hill. Looking at later borough boundaries (see also the paper (this website) 'Where exactly is Maldens and Coombe?) it is clear that the Gallows were sited just outside the borough boundary. Execution sites at boundaries with a commanding view and alongside a prominent 'road' or route to the town was a common location for Anglo Saxon executions and it is therefore possible that the site of the gallows dates back to Saxon times, although this hasn't been proven. 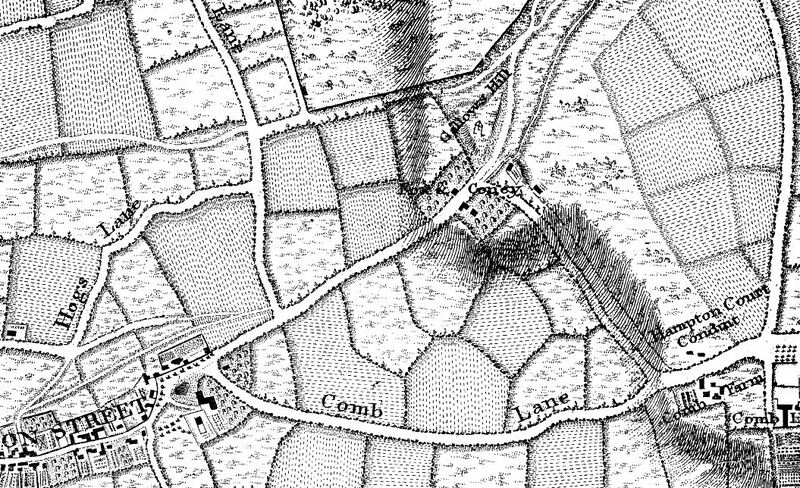 Also compare the field structure with that on later maps and how Land around Coombe House was cultivated but lower down the hill, the land was 'common'. 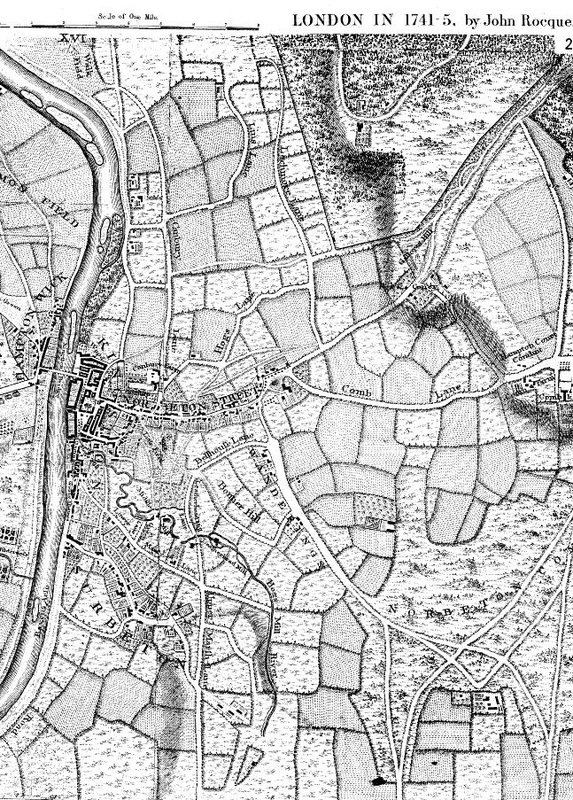 Rocque's map may , at first, appear basic but compare the fields and roads with later sketch plans and maps.